A poor hiring decision at a senior level can have a very high cost for your organisation. 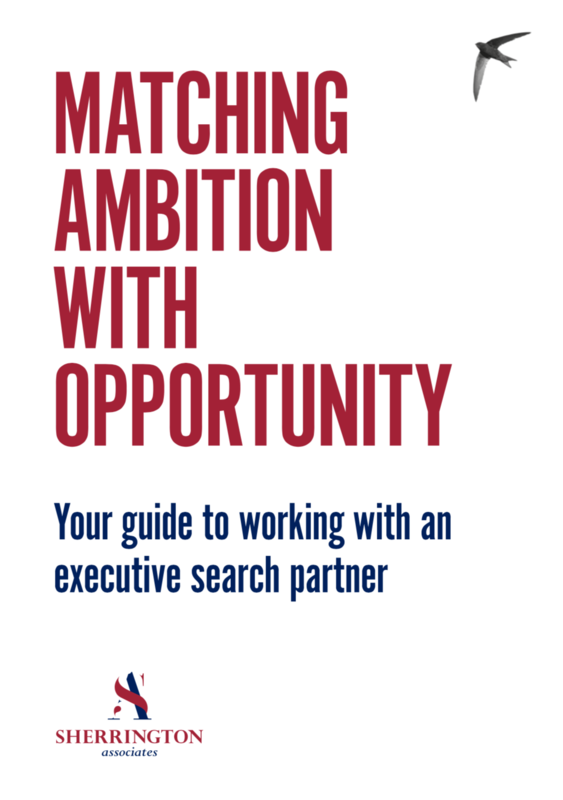 ‘Matching Ambition with Opportunity - Your guide to working with an executive search partner’ has been written to help you understand how working with an experienced executive search partner can help you create the best senior leadership team for your organisation. With our step-by-step guide, we aim to provide insight and tips into getting the best out of your executive search partner and putting you in the best possible position to attract, retain and develop game-changing executive talent. Fill out the form below to receive your FREE Executive Search Guide.